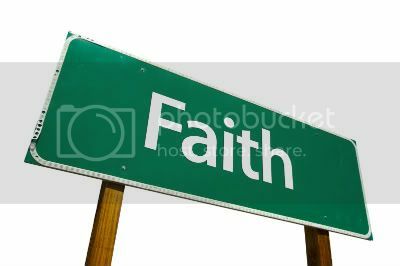 TEXAS FAITH 104: Is Belief Overrated? Let’s return to an issue that we dealt with back in April, when I asked you all a question about belief. The question dealt with what it means that we may believe differently about different things. You can read answers at this link. A couple of weeks ago, Keven Willey, the Morning News‘ editorial page editor, passed along this essay from Stanford anthropologist T. M. Luhrmann, author of “When God Talks Back: Understanding the American Evangelical Relationship with God.” As you will see from this link as well, Luhrmann gets into several lines of thought about belief and how we arrive at it religious convictions. Belief is not only generally overrated, it is most often fallacious, because it is based on the material mind. To say it is overrated is to say that it has some value. Blind faith and blind doubt are to be avoided in spiritual life. The saintly do not believe in God, they experience and know God. Just as the educated do not believe that one plus one is two, the experience and know it. Faith means a hope in an anticipated outcome. There is nothing that we do in life that does not involve faith. We perform our daily actions on the premise of some expected hope. However faith can be solidified by experiencing the applied hypothesis’ desired result. One needs only a small amount of belief that the experiment is worth one’s endeavor. Information regarding non-material subjects can only come from a non-material source. The material mind, its senses, and the instruments of such senses, will never be able to validate, disprove, or discover something beyond matter. The initial belief needed to apply the experiment of spiritual life grows from association of those are expert in the practice. Experiencing the expert’s difference in consciousness and hearing the sound philosophical principles they teach, attracts one to take up the experiment of spiritual life. is experienced, the hypothesis is verified. Therefore what Durkheim stated can be said to be true, as many religious adherents fanatically believe something yet there is no change away from exploitative consciousness. The last consideration is that spiritual information can only remain intact if it is passed down in a teacher to disciple lineage. Just as the science of medicine cannot be preserved in books alone.